Stan and Jan Berenstain take readers on a fun-filled trip to the beach in this classic Beginner Book, edited by Dr. Seuss. "Hooray! Hooray! We're on our way! Our summer vacation starts today!" School's out, and the Bear family is ready for a vacation at the beach. Whether the Bears are sailing, swimming, surfing, snorkeling, or having a run-in with an angry whale, Father Bear certainly knows how to find trouble. 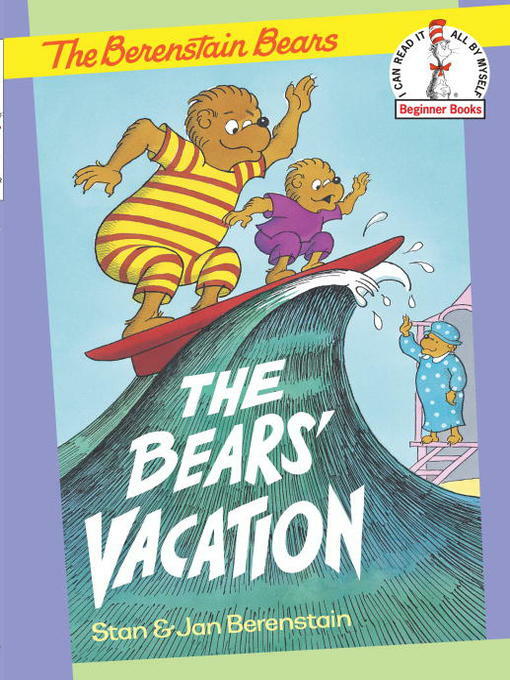 The Bears' Vacation will leave young readers eager for their very own summer fun!